March 2016, RON95 Petrol would see a reduction of 15 sen to RM1.60 per litre while the higher grade RON97 down by 10 sen to RM1.95 per litre, while the price of diesel remain unchanged at RM1.35 per litre. Back in February, RON95 Petrol was priced at RM1.75 per litre (10 sen less from January), and RON97 at RM2.05 (less 20 sen). 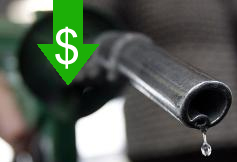 Since Dec 1, 2014, The Domestic Trade, Co-operatives and Consumerism Ministry of Malaysia decided to set the prices of petrol and diesel on a managed monthly float. Prices of petrol and diesel will be review monthly to determine the following’s months prices. Hybrid Vs Diesel Engine, which save the most fuels?